Nestled within the foothills of the Santa Clarita Valley, lies a celebrated masterpiece built from the vision of acclaimed golf course architect, Robert Trent Jones, Sr. Valencia Country Club is celebrating its "40th Anniversary" and its status as a rare, private Club experience. At Valencia, Members and guests escape the stress of day-to-day life while enjoying its championship 18-hole course, which has been honored by the presence of some of "golf legends". 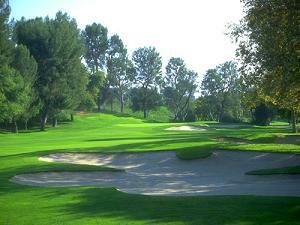 Golf Digest named the course at Valencia Country Club as one of the top 25 golf courses in the state of California. In recent years, Valencia Country Club has hosted major events, such as the PGA TOUR's Nissan Open and the PGA TOUR's SBC Senior Classic five years in a row -- a true testament to the caliber of Valencia's championship golf course. As a prestigious country club, Valencia Country Club offers luxurious amenities in a relaxed and casual atmosphere. You and your family can enjoy an unrivaled golf experience, as well as a social life filled with family-oriented activities in a secure and private haven. Additionally, our world-class Practice Center has been recently renovated to fit PGA standards. It now offers a 40% larger hitting area, expanded short game area, simulated green targets, fairway bunkers and a widened corridor. Membership to Valencia Country Club is available through a number of programs, from Junior Executive to Premier Memberships. Additionally, the Club extends unique financing options. 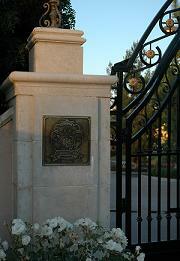 For more information on membership, please call (661) 254-4401. Once off the links, Members and guests enjoy the amenities within our welcoming and professionally decorated 45,000-square-foot Clubhouse. Its spacious and elegant, yet casual, atmosphere provide a great setting for the Club's social life. Family gatherings, celebrations, as well as other special events all help create the feeling of community that is so special to Valencia Country Club. Within the Clubhouse is our high-end Golf Shop and Heritage Grille, which offers an intimate and cozy dining experience, while overlooking our award-winning golf course.